In Sovereign Stories, Annette Angela Portillo examines Native American women’s autobiographical discourses and multiple-voiced life stories that resist generic conventional notions of first-person narrative. 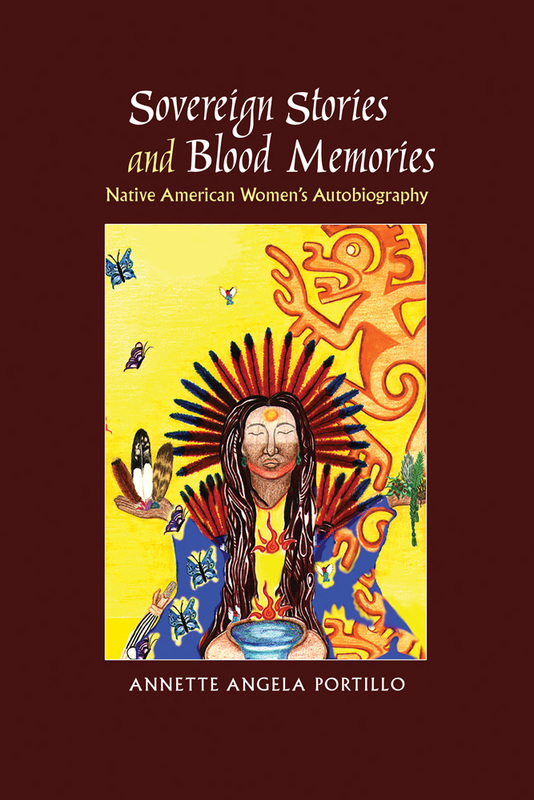 She argues that these “sovereign stories” and “blood memories” not only reveal the multilayered histories and identities shared by each author, but demonstrate how their narratives are grounded in ancestral memory and land. These autobiographies recall settler-colonialism, deterritorialization, and genocide as the writers and activist-scholars reclaim their voices across cultural, national, and digital boundaries. Portillo provides close readings of memoirs, life stories, oral histories, blogs, social media sites, and experimental multigenre narratives including those by Delfina Cuero, Ruby Modesto, Leslie Marmon Silko, Pretty-Shield, Zitkala-Sa, and Sarah Winnemucca Hopkins. Annette Angela Portillo is an associate professor of English at the University of Texas at San Antonio. Her articles have appeared in several publications, including Western American Literature, College English Association Forum, and the Oxford Encyclopedia of Women in World History.